Help us to better understand what animals live and forage in our parks at night; join us for a special event to survey rakali, owls and frogs. 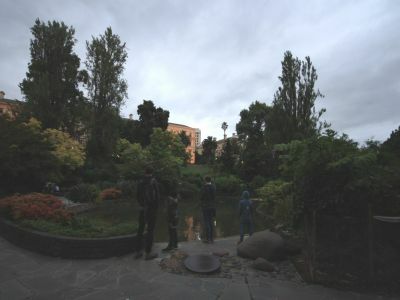 You’re sitting in the fading evening light beside an ornamental pond in the 19th century Treasury Gardens. You hear a scratching noise and then a splash. A small wake streaks across the shiny surface and then disappears. The ducks are quietly tucked away in the reeds. What could it be? Despite the thousands of visitors each year to Treasury Gardens, we know very little about the animals that emerge after dark in heart of our city. To help us better understand what animals live and forage in our parks at night; Citizen Foresters are invited to join us for a special event to survey rakali, owls and frogs. 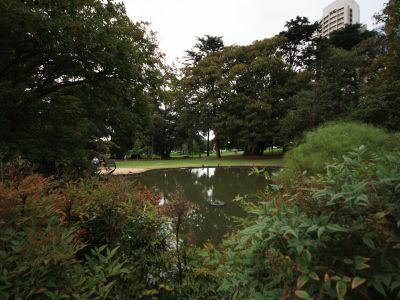 Animal surveys will take place at the wetland in Treasury Gardens, located in the centre of the park. We will meet at 7:30pm on the lawn adjacent to the wetland, where the paths meet. Please note: this event has now concluded. No prior knowledge is required for this activity. 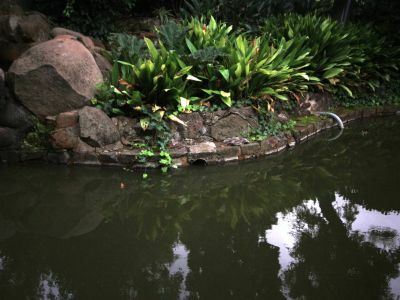 We will be led by Aquatic Ecologists from Ecology Australia. Following an introduction to the activity at 7:30pm, we will move throughout the gardens to look for signs of rakali, owl and frog occupancy. We'll also and conduct call playback surveys and spotlighting. Please bring your own torch if you have one. To register for this activity, simply press the registration button above and send an email to the team. Please note that there are only 25 places available, so get in quick! Remember to let us know if you can't make it so that we can give your place to someone else. To participate in the activity, you must be a registered Citizen Forester. To sign up, simply click the button at the top of this page and complete the registration form. How do you get to Treasury Gardens? Treasury Gardens is located in the centre of Melbourne, on the eastern edge of the CBD. 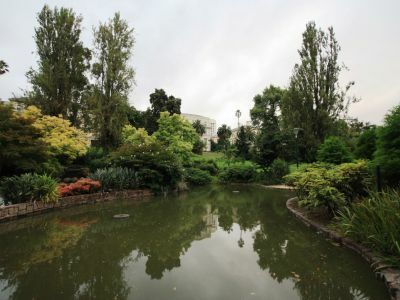 Treasury Gardens is directly next to Fitzroy Gardens, and is bounded by Spring Street, Treasury Place, Landsdowne Street and Wellington Parade. 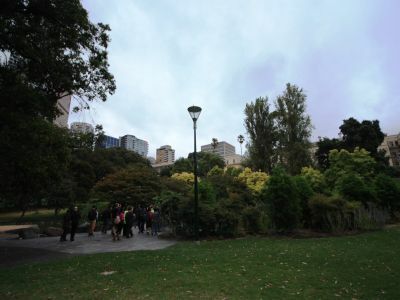 From Parliament train station, Treasury Gardens is a five minute walk south-east along Spring Street. From Jolimont Station, walk five minutes west along Wellington Parade. Nearby tram stops include Landsdowne St/Wellington Parade and Spring St/Collins St.
Metered car parking is available on Landsdowne Street. We will be moving around in the gardens after dark, so please wear comfortable, closed shoes. If you have a torch, please bring it along. Pictures taken during the event on March 24. 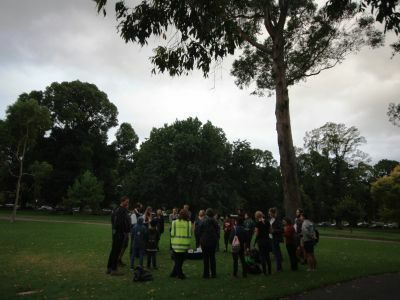 Join us in Treasury Gardens to survey rakali, owls and frogs. Even though our event is finished, you can still help! Whenever you are around waterways, keep an eye out for rakali. If you see one, you can record the sighting on the national biodiversity database: The Atlas of Living Australia.